The most commonly used adjustment technique by chiropractors. Diversified is characterized by a gentle high-velocity, low-amplitude thrust. 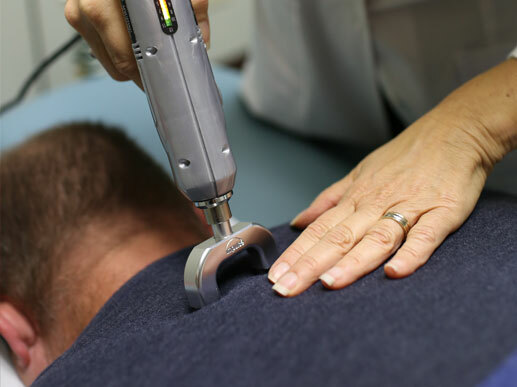 Its objective is to restore proper movement and alignment of spine and joint dysfunction. Relies on a special table with sectional drop pieces that allow the chiropractor to use the patient’s body weight when adjusting. It also places emphasis on strict procedural protocols. A light force application which is suitable for children to adults. 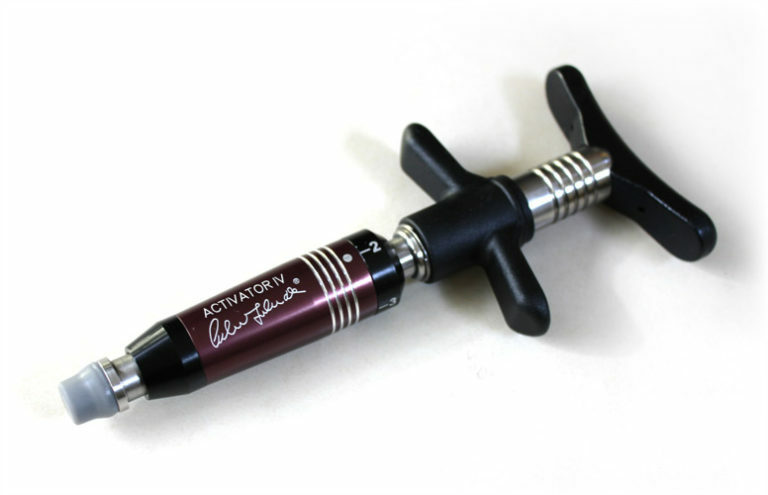 The activator is a small handheld spring-loaded instrument which delivers a small impulse to the spine. It has been found to give off no more than 0.3 J of kinetic energy in a 3-millisecond pulse. 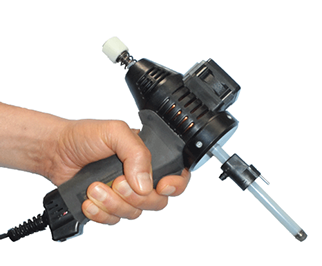 Arthrostim is an adjusting instrument that is an alternative to manual adjustments. A technique utilized for Lumbar Disc Herniation, in addition it is very effective for Lumbar muscular release. A gentle tractioning force is applied to the spine, while the motor flexes the lower part of the table. 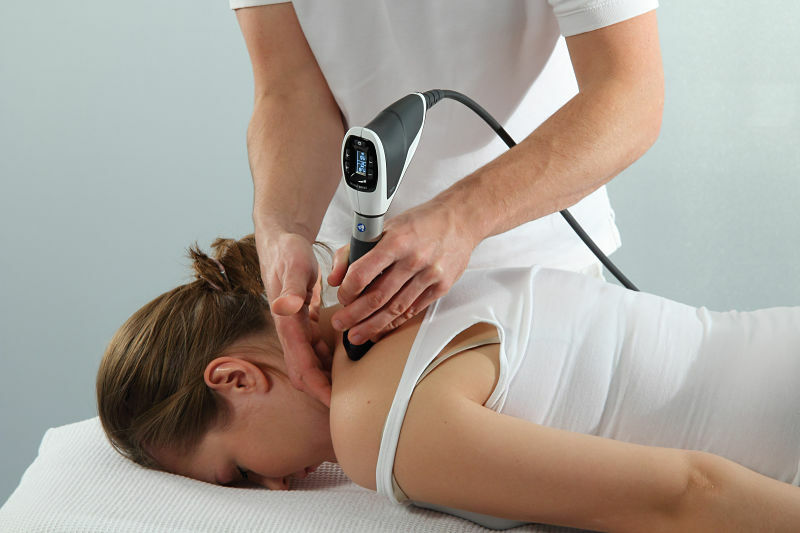 Very effective treatment for muscular trigger point, tendonitis, tennis elbow, heel pain, frozen shoulder, and sports injury. This device is a combination of “radial shockwave,” and “focus shockwave” technology. Gentle, effective Spinal percussion device. This device is very similar to the activator, however it is motorized. It delivers a more uniform force, and our clients love this adjusting device!